(Reuters) - A major battery storage project that would help California replace three of its natural gas power plants may need to be scrapped as a result of PG&E Corp's bankruptcy, according to court documents filed this week. Californian electricity and gas supplier PG&E filed for bankruptcy protection in January, in anticipation of significant expected liabilities from wildfires in the state. Because PG&E can reject contracts in bankruptcy, energy developer esVolta LP said in papers filed with the U.S. Bankruptcy Court in San Francisco on Wednesday that it feared it would not be able to line up financing for its 75 megawatt Hummingbird battery storage project. "Hummingbird's position is becoming untenable," esVolta said in the filing, noting PG&E had said it was not in a position to make a decision on whether to keep or reject its contract for using the planned battery-storage facility. The company is one of four that received large battery storage contracts from PG&E last year as clean, cost-effective alternatives to three Calpine Corp natural gas generators in northern California. The others are Tesla Inc, Vistra Energy Corp unit Dynegy and Micronoc Inc.
esVolta did not immediately respond to requests for comment. 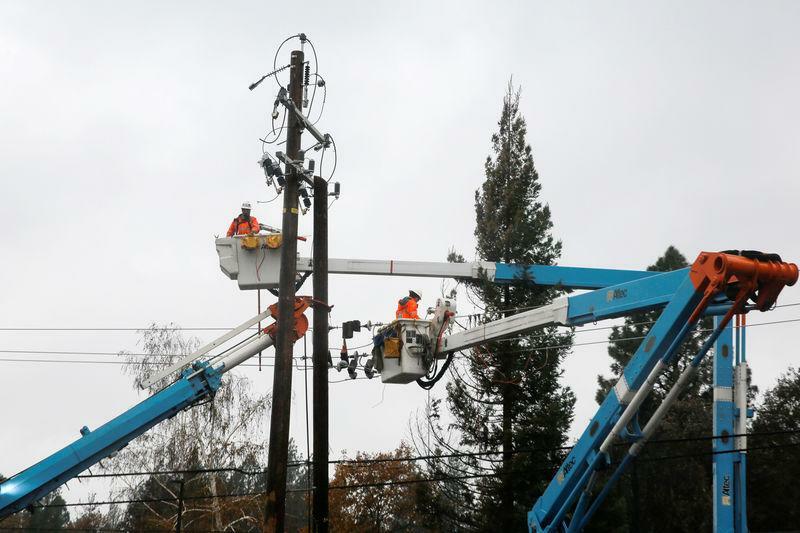 PG&E said it had not made any decisions about assuming or rejecting contracts as part of its bankruptcy proceeding. "PG&E recognises its important role in supporting the state’s commitment to clean energy initiatives and remains committed to continuing to help California achieve its clean energy goals. We appreciate the concerns from stakeholders across the state of the impact that Chapter 11 filing could have on the state’s clean energy progress," the utility said in an emailed statement. Tesla declined to comment on its contract, which is for a 182.5 MW project that would be owned by PG&E. Neither Dynegy nor Micronoc responded to requests for comment on their projects, which are for a 300 MW facility and 10 MW of storage, respectively. One megawatt is capable of powering about 750 homes at once. The California Public Utilities Commission, which approved the contracts last year, said it was confident the Tesla, Dynegy and Micronoc contracts would not be affected. "While it is unfortunate that they (esVolta) are unable to find necessary financing, the CPUC believes the other projects are able to continue with project development," CPUC spokeswoman Terrie Prosper said in an email. The market for energy storage is still small, but batteries have long held the promise of solving the intermittent nature of renewable energy sources such as wind and solar, so their development is closely watched by investors, regulators and power companies. The Hummingbird storage facility was scheduled to begin construction in the second quarter of 2020.